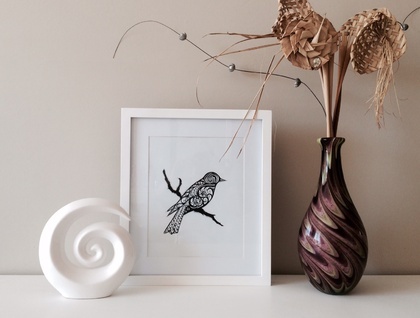 Beautiful koru bird, black and white print. Originally hand-drawn, ink on paper. Looks great in any colour frame, or against any wall colour/backdrop. - Size A4 - 210 x 297mm. - Recommended display in a standard 11x14in frame (with 8x10in mat). - Does not include frame, mat or accessories shown. 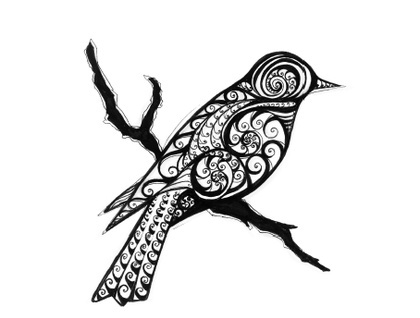 Make sure you browse through my other prints incase you spot something else you like! Contact jadesintes to enquire about payment or shipping options.